The process of buying or selling a vehicle is usually straightforward but both buyers and sellers can leave themselves open to becoming the victim of fraud or other crimes. Be careful not to let the excitement of buying or selling a vehicle compromise your safety or your money. Remember, if it looks too good to be true, it usually is. The advice below is to help you avoid being a victim of crime. It is your responsibility to satisfy yourself that a transaction is legitimate. Motors.co.uk disclaims all liability and responsibility arising from any reliance placed on information published on the site. If you would like to report an advertisement you believe is fraudulent please feel free to notify us, but in the first instance please contact action fraud. It’s important to stay safe when buying a used car. It is a case of ‘Buyer beware’, with common sense prevailing. If something doesn't feel right, then it probably isn't. Take a look at our advice on how to avoid potential fraudsters. While there tends to be more risk in buying a car, private sellers, too, are not immune to targeting by fraudsters. To help you avoid falling victim to a crime, we have some advice for things to know when selling your car. Sometimes things aren't quite as they seem, with some sellers doing their best to scam you either by selling you a car that's stolen, been written off or has another piece of unsavoury history. We asked industry expert Peter Stratton from Trading Standards for his buying advice. Whether you're buying a used car privately or from a dealership, it's important to know just which documents the car should have with it and how to check them over. We asked industry expert Tim Shallcross from the Institute of Advanced Motorists what to look out for. Selling privately isn't necessarily going to be trouble-free and you could find yourself on the wrong side of consumer trading laws if you're not careful. We have expert advice from Peter Stratton on how to stay safe when selling on your car privately. 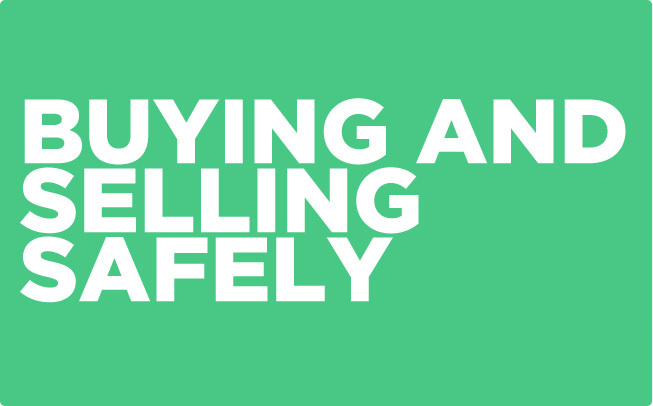 There are many sources of additional information about how to keep safe when buying and selling cars, we have listed a selection below. To report fraud, please contact Action Fraud. If you have any questions or concerns about any car listed on Motors.co.uk, please contact us straight away on 0845 265 6000 and select option 1, email help@motors.co.uk or tweet us @motorscouk. Motors.co.uk is committed to treating all customers fairly. For more information, please click here.